Why Do People Live in Stags Leap? Stags Leap is located on the southeast side of Franklin TN off Arno Road. This newly-developed neighborhood with homes built by Turnberry Homes combines the comfort of living in a neighborhood with the remoteness of a rural location. It is a quiet and serene setting but its proximity to Page Middle and High School make it extremely attractive to families looking to send their children to Williamson County Schools. What is the Stags Leap Neighborhood Like? 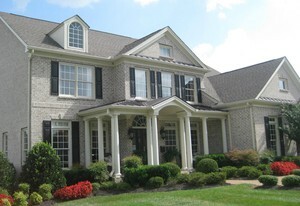 There are approximately 75 homes in the Stags Leap neighborhood of Franklin TN. They generally range between 2,800 to 5,000 square feet. This neighborhood was started in 2007 with construction continuing today. Although it is a small neighborhood, they have a pool and play apparatus for children. Much of the neighorborhood is surrounded by farmland. However, with retail construction under way in Berry Farms, Stags Leap will be within a short drive to retail shopping, a grocery store and numerous restaurants. Page Middle and High School is within walking distance of Stags Leap which makes it very attractive for families with school-age children. What Type of Activities are Offered Near Stags Leap? Stags Leap is just a short drive to the Cool Springs retail district so it has quick access to shopping and dining, as well as, entertainment venues. Not to mention it's quick access to medical facilities located in Franklin and Nashville. The addition of retail and restaurants in Berrys Farm will provide an even closer commercial area for Stags Leap residents. What Schools Will Stags Leap Students Attend? Abington Ridge homes for sale in Franklin TN is served by the highly-ranked Williamson County Schools. Abington Ridge homes are currently zoned for College Grove Elementary, Page Middle and Page High School. Let Us Help You Find an Stags Leap Home Today! Below is a complete list of Stags Leap homes for sale in Franklin TN. For further assistance or to schedule a showing, contact Tammie White today at (615) 495-0752.